Fairmont Palliser ARE YOU A VENDOR? 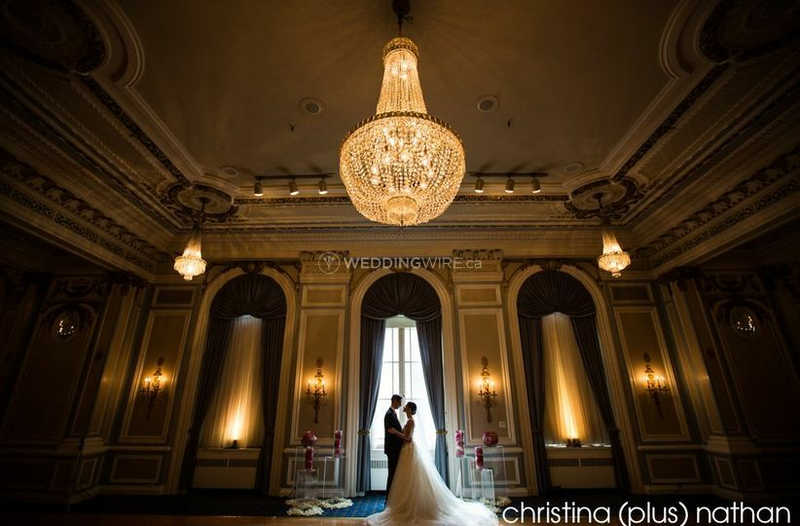 Located in Calgary, Alberta, Fairmont Palliser is an elegant hotel that specializes in creating modern setups for weddings and other special events. 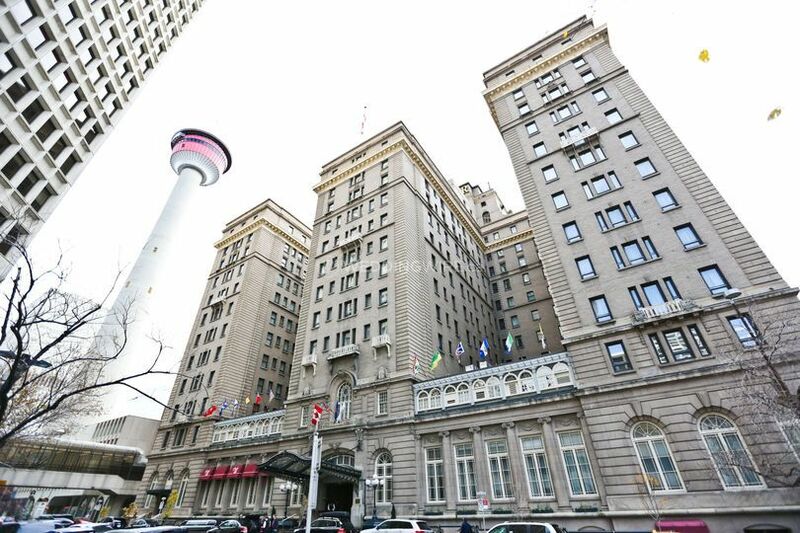 Opened in 1914, this historic building became the Fairmont Palliser to cater to fabulous events in Calgary. This venue will attend to every detail, creating the magical wedding you deserve. 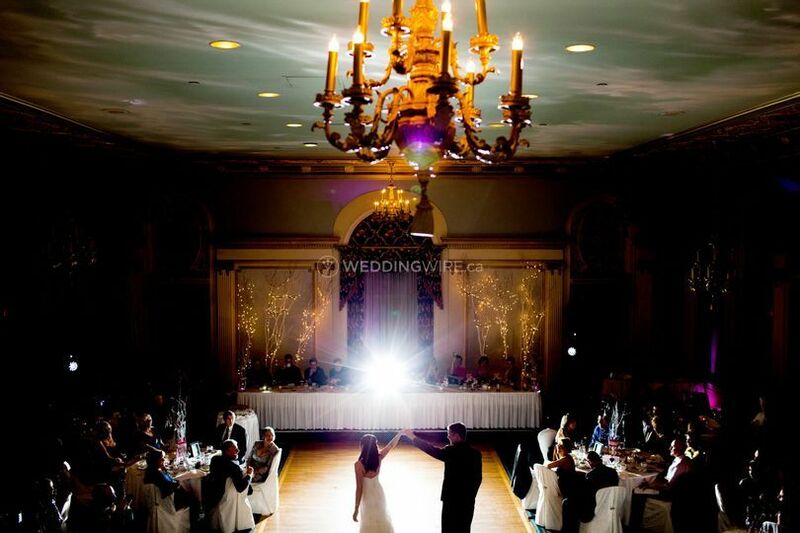 The elegant ambiance of this grand ballroom is the perfect setting for your wedding celebration. Thirteen crystal chandeliers sparkle from the ornately gilded ceiling, accentuated in gold and blue. The stately marble columns and distinctive architectural details of the Crystal foyer provide an elegant welcome to your guests. 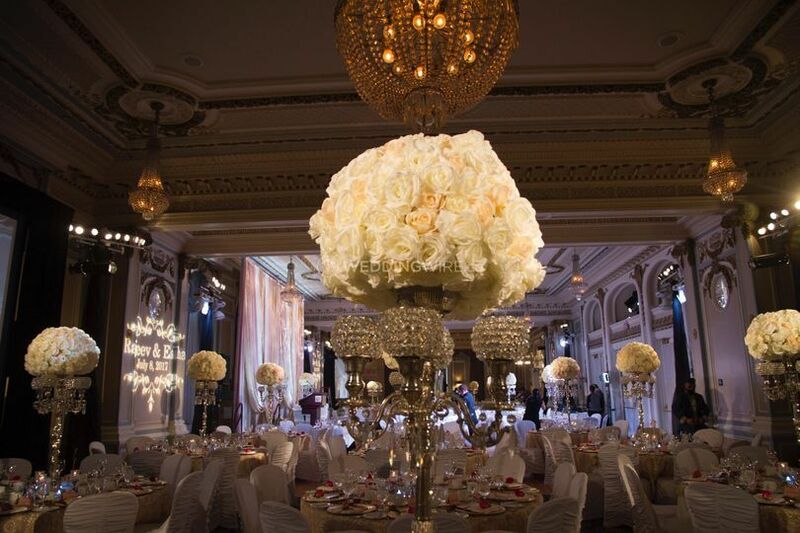 The Crystal Ballroom can accommodate up to 320 guests on round tables of 10 or 250 people with the dancefloor exposed. 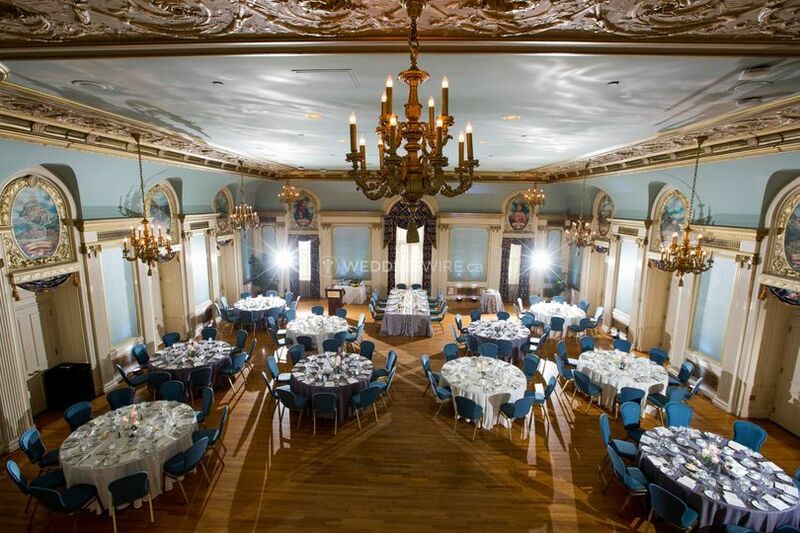 The Crystal foyer and Oval Room are included with the booking of the Crystal Ballroom. Taking its name from the round structure and dome ceiling, the Oval Room is a stunning space. Adorned with wall sconces, full-length windows, a gilded ceiling and fireplace, the Oval Room is a charming setting for your reception or late night buffet. Rich cranberry coloured walls and jewel tones create a warm ambiance in the Turner Valley Room. A cozy marble foyer is an ideal area for greeting guests and the guest book table. It is perfect for 80 guests with round tables seating 10 guests and a dance floor. The Oak Room is currently undergoing renovations to reinvent this historic lounge. Reopening in April 2019, you can host your next reception in Calgary's newest Gold Standard event space. This stunning room is located on the Lobby level and is now available to reserve on an exclusive basis for your next private event. This venue is perfect for up to 96 guests for a seated dinner and dance. 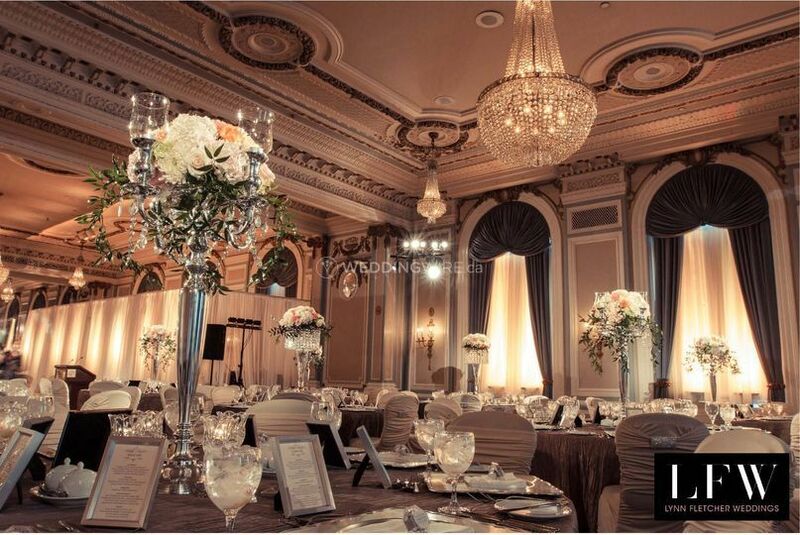 The Fairmont Palliser also has a variety of beautiful function spaces to accommodate smaller weddings – please inquire within for more information. 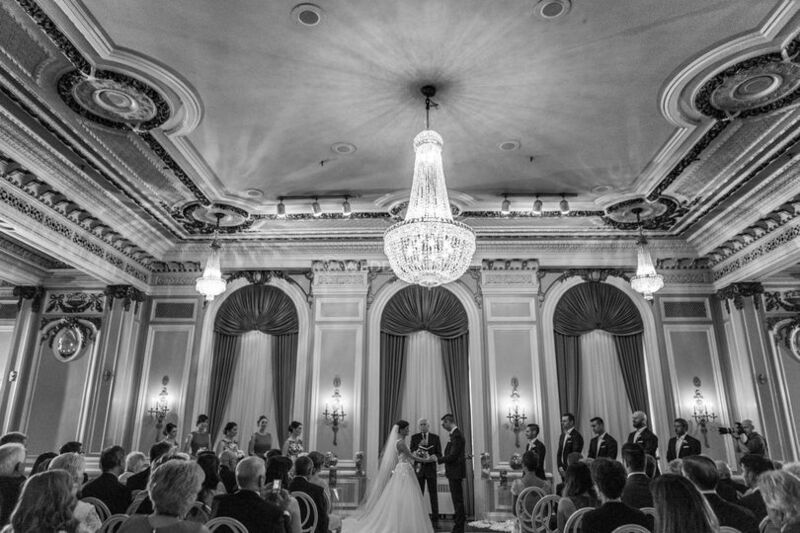 Their iconic venues are the perfect place to host your dream wedding celebration. Ask your dedicated wedding specialist for details on hosting your engagement party, bridal shower, high tea, and post-wedding brunch. 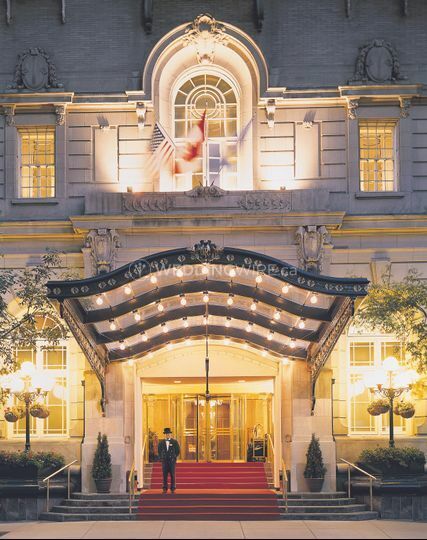 The culinary experts and banquet colleagues at Fairmont Palliser strive to make each catered experience special. Their menus feature the highest quality ingredients and are sure to impress the most discerning palates. As the sole provider of all food and beverages in the hotel, please allow our talented culinary team to create everything from your delicate hors d'oeuvres, to an unforgettable dinner, and even your dream wedding cake! We want your wedding to be as unique as you are! Each of the 407 guestrooms at Calgary's Fairmont Palliser are newly renovated, luxuriously decorated and elegantly appointed. All downtown hotel guestrooms are equipped with the latest business amenities including high-speed internet access and entertainment features such as in-room movies. 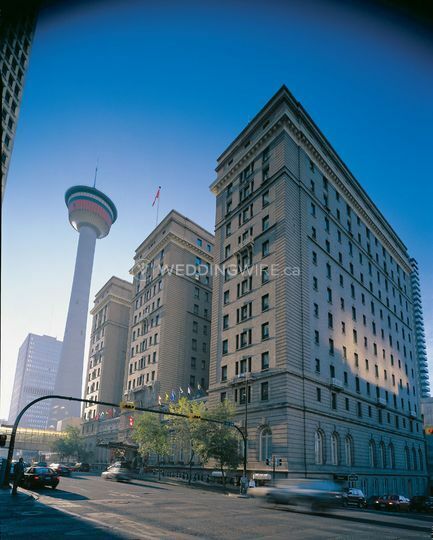 For Calgary hotel reservations, Fairmont Palliser offers three categories of guest accommodations, as well as a selection of suites and specialty rooms - make it a "Royal Stay" and book the Royal Suite, home to Queen Elizabeth II on her Canadian Tour in 1990. Guests seeking the ultimate in service and luxury will relish the property’s Fairmont Gold Floor, an exclusive "hotel within a hotel." A special thing to note is that if your wedding has 50 guests or more, they are happy to provide a Bridal Suite for the night of your wedding. They are also pleased to arrange a special wedding guestroom rate offer for your out of town guests.